The National Museums Scotland Next of Kin tour officially launched last month when the travelling exhibition was opened at Dumfries Museum on 18 March by Councillor Archie Dryburgh, Armed Forces Champion for Dumfries and Galloway Council. Installing the First World War exhibition in a new museum has been an exciting opportunity to transform the layout of the display for a very different space and also explore the enormous impact of the conflict on the local Dumfries and Galloway community. 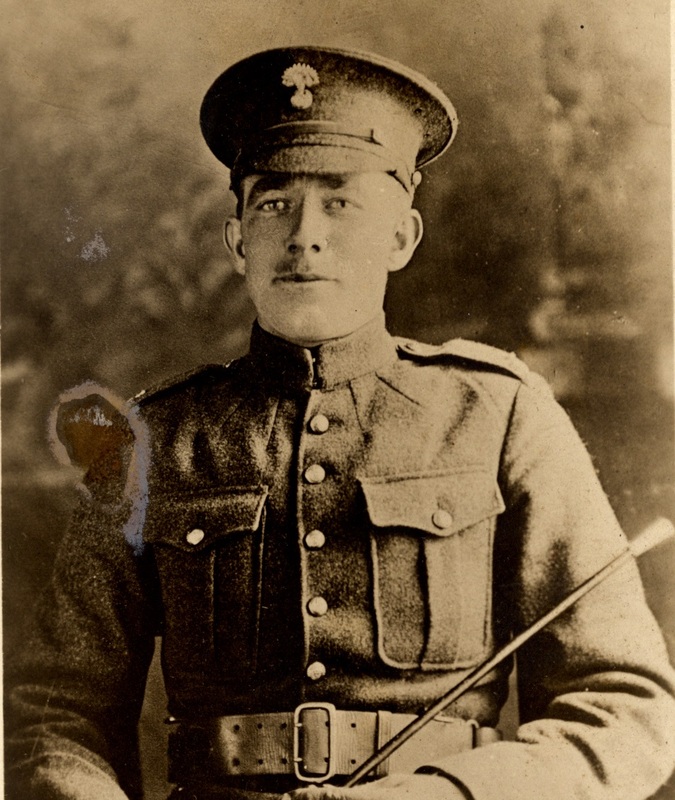 The display features a range of First World War stories that are specific to the area, including that of Dumfries born George McCall, who emigrated to Canada and then came back to fight for the cause of his birthplace. He was killed on 19 August 1918 while clearing the enemy from a communications trench and was buried in France. 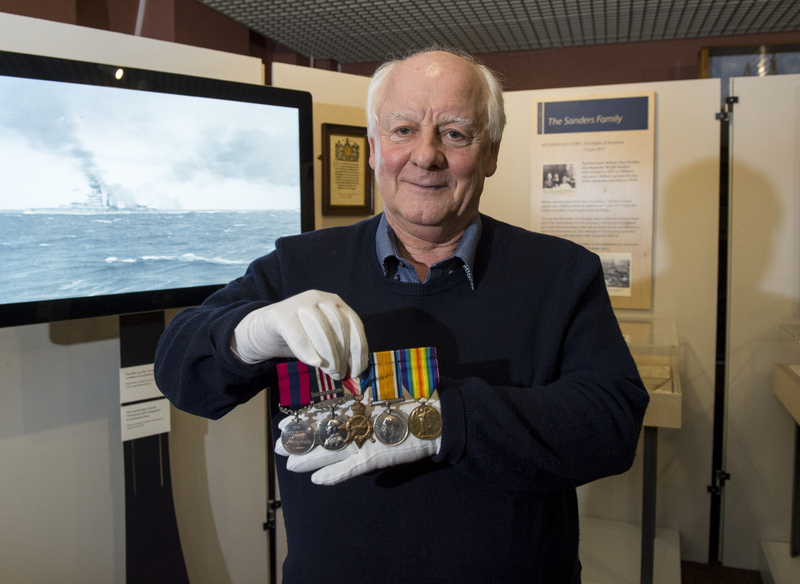 George’s sister kept a collection of objects which, although small on their own, tell the poignant story of his service and sacrifice. Photograph of George McCall in uniform taken at Davidson’s photography studio in Dumfries. © Dumfries Museum. Another case explores the experiences of Dumfries twins Alexander and William Sanders who both enlisted in 1915. William served as a Sergeant with the Royal Engineers and Alexander was a Sergeant in the 18th Battalion Lancashire Fusiliers. Alexander was killed in action after being hit by shell-fire but William survived having been decorated three times. William Sanders holding his grandfather’s medals. The Next of Kin exhibition also features two touchscreen interactives – one that reveals the pages of a Nurse’s autograph book on display and another that brings together stories from all nine museums participating in the project. 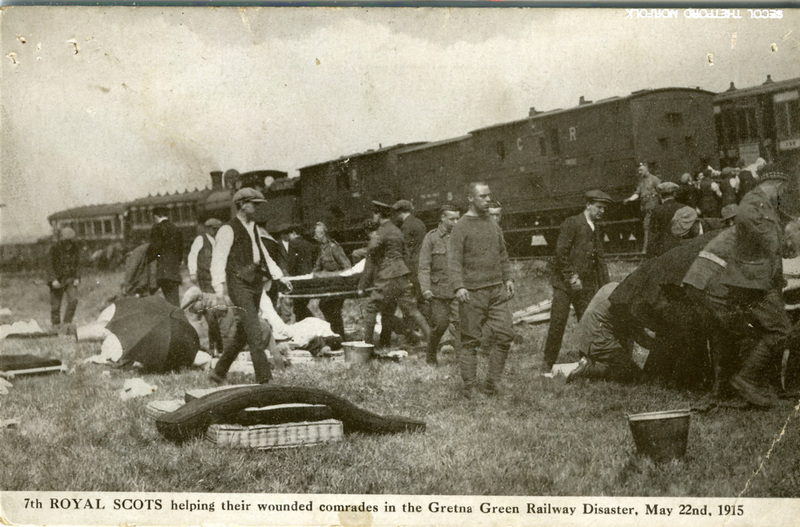 Visitors can explore objects associated with the Gretna rail disaster of 22 May 1915, in which 200 people were killed when three trains collided. Digitised artefacts from three different museum collections, the Dumfries Museum, the Devil’s Porridge Museum and Dumfries and Galloway Customer Services Archive Centre, include a scrapbook of newspaper reports and photographs collected by the District Traffic Superintendent of the Caledonian Railway at the time and the remains of a soldier’s rifle retrieved from the crash wreckage. Postcard showing men, including Royal Scots soldiers, rescuing the wounded from the train wreckage. © Dumfries Museum. 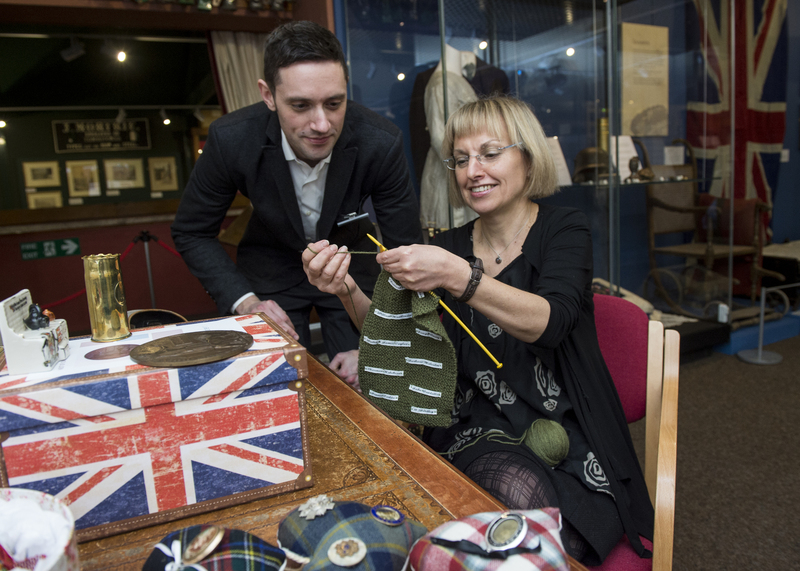 Dumfries Museum will also be holding Next of Kin themed learning events until the exhibition departs on 20 June 2015, using the bespoke handling collection of original and replica First World War objects. Groups can take part in facilitated workshops that explore and respond to the fascinating objects through creative writing, art and drama activities. From May visitors to the exhibition can also handle the items in the exhibition space. Jo Sohn-Rethel and Siobhan Ratchford, Museums Curator at Dumfries Museum with the Next of Kin handling collection. The Next of Kin exhibition will travel to eight more Scottish venues after Dumfries until May 2017, with each museum adding objects and stories specific to families affected by the conflict in the local area. You can keep up to date with the Next of Kin project over on their blog.